The Maine Legislature enacts the Maine's Endangered Species Act [MESA], and establishes the State's first Endangered and Threatened Species List, containing only federally listed species whose ranges include Maine. The least tern becomes the first species listed under MESA that does not have federal listing status. 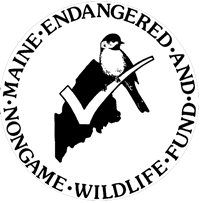 The Maine Legislature creates the "Chickadee Check-off" (income tax check-off) and the Endangered and Nongame Wildlife Fund. The Maine Department of Inland Fisheries and Wildlife [MDIFW] conducts its first comprehensive review of Maine's vertebrate wildlife and adds six new endangered species, and four new threatened species. The Maine Legislature amends MESA to include a habitat protection provision allowing for designation of "Essential Habitat" for listed species. The Maine Legislature clarifies that MDIFW has responsibility for the conservation of invertebrates. 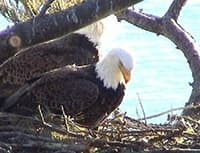 MDIFW designates the first Essential Habitats for bald eagle nest sites. MDIFW establishes objective, biologically based listing criteria through rulemaking. MDIFW initiates a second comprehensive review of the status of all of Maine's fish and wildlife species, including invertebrates. The Maine Legislature establishes the Conservation Registration license plate (Loon Plate) with a portion of the proceeds going to the Endangered and Nongame Wildlife Fund. The Maine Legislature transfers authority to list endangered and threatened species from the Commissioner of MDIFW to the Legislature. MDIFW conducts public hearings and informational meetings to solicit public input on the list of species proposed for addition to Maine?s Endangered and Threatened Species List. The Maine Legislature eliminates the provision in MESA that automatically lists federally Endangered and Threatened species on Maine's list. The Commissioner's Advisory Council endorses the proposed additions to Maine's Endangered and Threatened Species List. The Maine Legislature establishes the Maine Outdoor Heritage Fund, which is based on proceeds from the sale of a conservation lottery ticket. The Maine Legislature approves MDIFW's listing recommendations and adds twenty species to the State's Endangered and Threatened Species List. The Maine Legislature amends Maine's Endangered Species Act to parallel the federal Endangered Species Act and allow the limited taking of a listed species with an approved Incidental Take Plan. The Maine Legislature enacts Maine's Marine Endangered Species Act [MMESA] and gives the Maine Department of Marine Resources authority to list and manage marine Endangered and Threatened species under the act. MDIFW launches another comprehensive review of Maine's Endangered and Threatened Species List. MDIFW distributes its initial recommendations to species experts throughout Maine and neighboring states for technical review, and modifies its recommendations based on input from these experts. The MDIFW Commissioner holds public hearings on the proposed list, and submits his recommendations to the Commissioner's Advisory Council and eventually the Maine Legislature for their approval. The Maine Legislature approves the Commissioner's recommendations and adds 14 new listings, removes one species from the list, changes the status of one species from endangered to threatened, and adds the qualifier, "breeding population only" to two species already listed as endangered. The Commissioner recommends removal of the bald eagle from Maine's Endangered and Threatened Species List. The Maine Legislature establishes the Maine Sportsman License Plate with 10% of the proceeds promoting endangered species conservation. The Maine Legislature approves removal of the bald eagle from Maine's Endangered and Threatened Species List. MDIFW deletes designation of bald eagle Essential Habitats effective December 5, 2009, because bald eagles have been delisted and are no longer eligible for Essential Habitat protection.